English is a core subject and is at the heart of our curriculum. Each "Cornerstones" project covers a range of reading and writing genres and, where appropriate, links to other areas of the curriculum. The “Cornerstones” Curriculum compliments the school’s “Storytelling” approach to the teaching of writing. Spoken language is promoted throughout the curriculum and across all subjects. Spelling, vocabulary, grammar and punctuation are promoted throughout all speaking and listening, reading and writing opportunities. At St Helen’s we use the Letters and Sounds scheme to teach phonics and reading from Nursery to Year 3. In the Foundation Stage and in Key Stage 1, phonics is taught everyday and strategies are put in place for children that may need some additional support. Phonics is important for children to become effective readers, but it is not an end in itself. Our children are taught phonics as part of a language rich curriculum, so that they develop their wider reading skills at the same time. Research shows that when phonics is taught in a structured way - starting with the easiest sounds, progressing through to the most complex - it’s the most effective way of teaching young children to read. It’s particularly helpful for younger children. Our school use a wide range of reading scheme and non-scheme books, colour coded into ability bands using the Book Band system, to teach and support reading. In Foundation Stage and Key Stage One the children will have access to guided reading sessions weekly and have the opportunity to take home a book matched to their ability daily. This is usually a book from the Oxford Reading Tree Series. This is to encourage the children to practise the skills they are being taught. Dialogue between home and school is encouraged through parent completion of reading diaries. In the juniors the children still have access to weekly guided reading sessions. In addition, with support from the teacher, the children are encouraged to select home readers from the class book corners. When children begin in the juniors they start using their RED books. What is a RED book? RED stands for Read Every Day. This book is used in place of reading diaries. RED books provide the opportunity for the children to record what they are reading and what they think about the book they are reading. It can include drawings, sketches, mind-maps, charts or questions which help children to practise the skills of retrieval, inference and deduction. It is expected that children spend 15-20 mnutes every day reading and recording in their RED book. Children need to bring their RED book in each day and should be signed by parents at least once a week. At St Helen’s, we use the Storytelling Schools approach, which supports all three main components of the writing process: planning, translating and reviewing. The approach provides a scaffold for the planning stage where children formulate writing goals and then generate and organise ideas to meet them in order to have the intended effect on the reader. By providing a model story that the children learn by heart and imitate, the Storytelling Schools approach offers children a structure for innovating and then inventing their own story. Mapping the story visually provides a strong support for this. When children have to translate these ideas into sequences of words in grammatically correct sentences in story or non-fiction genres the vocabulary, phrases and sentence structures that they have learned during oral storytelling provide a scaffold. Finally, the process of reviewing and revising their writing is supported when they collaboratively engage in the oral storytelling process. Effectively, the children are taught to ‘read’ over the story that they have composed when they say it aloud, and identify how far they have satisfied the intended writing goals. Statutory requirements for writing composition in the current National Curriculum recommend a process that is compatible with the Storytelling Schools approach. For example, children in Year 2 are expected to plan or say aloud what they are going to write, scribe down ideas and new vocabulary, articulate their ideas sentence by sentence, evaluate their writing with peers and teacher and make revisions. They are expected to think aloud when they write and draft and reread. 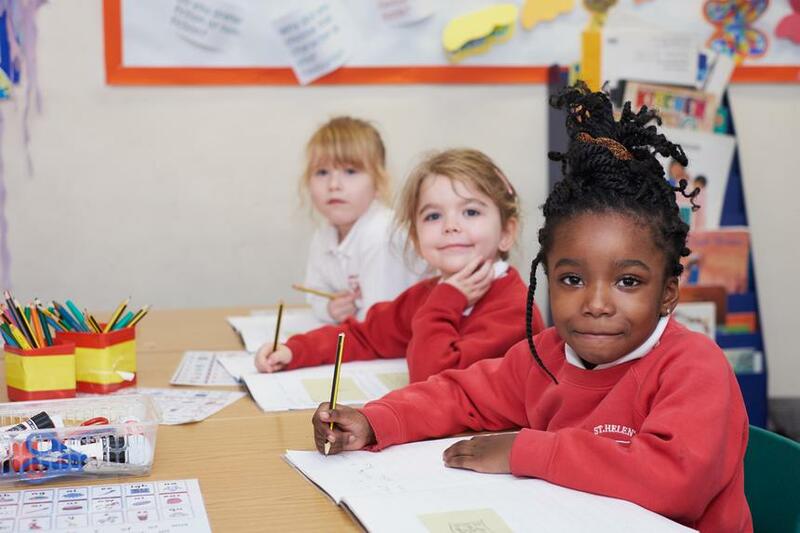 At Lower Key Stage 2, children are expected to discuss writing similar to that they are going to write and borrow from its structure, vocabulary and sentence structure. They are also expected to compose and rehearse writing orally. The Storytelling schools approach fully supports these requirements.